MILAN – In front of 54,000 fans at San Siro, there was a bit of everything on matchday ten of Serie A TIM againt Sampdoria. 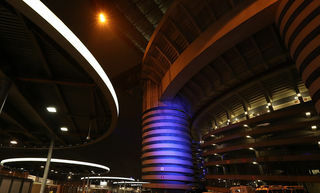 The Nerazzurri dominated, scored three, hit the woodwork multiple times before the Blucerchiati almost staged a comeback. The result sends Inter top ahead of tomorrow’s matches on 26 points. The first shot of the match was Samp’s. In the fourth minute, Zapata tried with a left-foot effort from the edge of the box but without hitting the target. 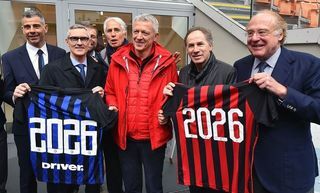 From then on, Inter took control. In the fifth minute, Candreva’s great strike from 20 metres went just wide before Puggioni had to make a stop from Perisic in the 13th minute. Two minutes later, D’Ambrosio redirected a low cross just wide. Puggioni was alert again to save from Candreva in the 17th minute but he couldn’t do anything to keep Skriniar out. The Slovakian controlled the ball in the six-yard-box after Candreva’s corner was glanced on by Vecino and he poked home with the Sampdoria goalkeeper coming off his line. 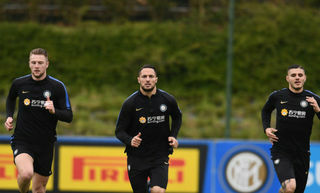 With the deadlock broken, the Nerazzurri continued to push. In the 29th minute Persic almost scored a wondergoal after he shot from extremely far out following a mistake by Puggioni and he was only denied by the post. 60 seconds later, Nagatomo kept Puggioni busy with a dangerous shot from 25 metres out. From the following corner, the Doria ‘keeper kept out a header by Icardi. The second goal came in the 32nd minute as Icardi was waiting at the far post to finish with an accurate volley. Two goals up, there was a chance to add another in the 40th minute as Candreva’s cross was met by Icardi who hit the post. The second half began in similar fashion to the end of the first, with Inter still in the ascendency. The 54th minute saw the Nerazzurri bag their third goal of the game, with Vecino initially releasing Perisic, who subsequently crossed for Icardi who made no mistake with his close-range finish. Despite their emphatic lead, the home side were persistent in seeking to score more, with Perisic striking the crossbar in the 63rd minute. This was amazingly the third time the Nerazzurri hit the woodwork throughout the match. Despite their defensive frailties, Sampdoria did manage to get themselves on the scoresheet in the 64th minute, with substitute Kownacki finishing off a right-sided cross from Quagliarella. With the match evidently far from over, goalscoring chances continued to arrive for both teams, with Quagliarella shooting narrowly over from a good position just three minutes later. Inter did then waste a good chance on the counterattack come the 84th minute, with the away side subsequently going straight up the other end to score yet another. A fine headed finish from Quagliarella ensured for a nervous end, although Inter did not give up. Prior to his substitution, Icardi had one solid chance late on, however Puggioni pulled off a fine save to keep it out. 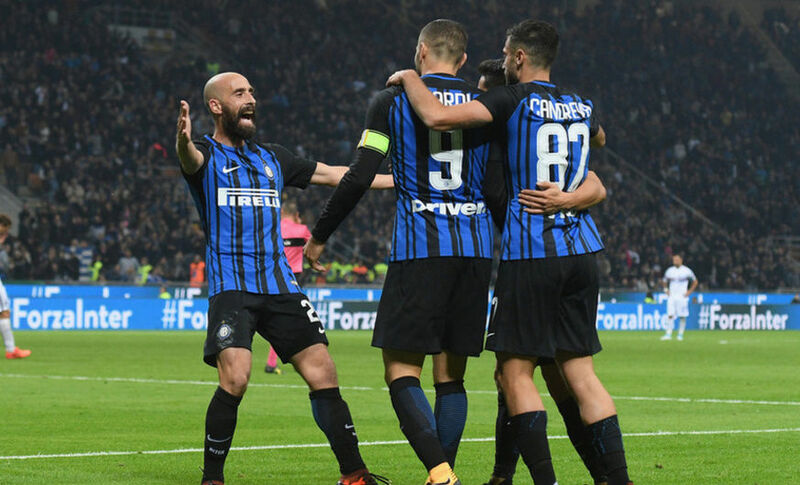 The match ultimately ended 3-2, with Inter leapfrogging Napoli to move up to first place in the Serie A league standings. Icardi: "We know where we can finish"